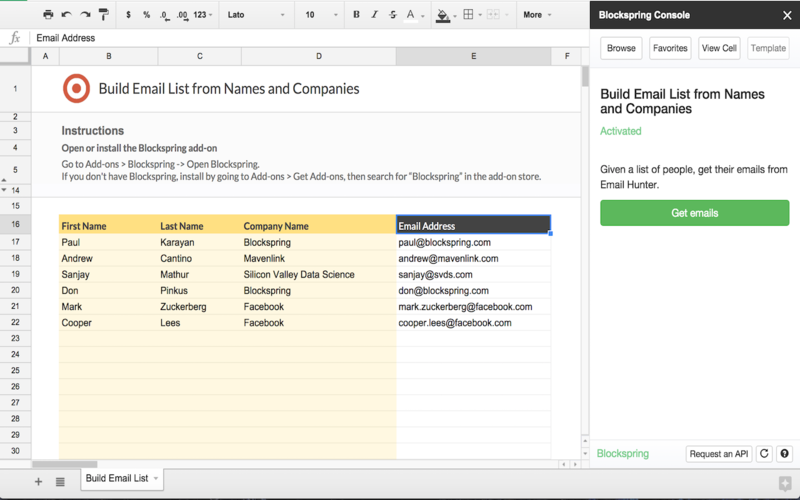 Find peoples' email addresses given a list of their first names, last names, and company name. If you know the sort of people you want to connect with but don’t have their contact information, this template is your Golden Ticket. As a next step, try enriching your email contact list with demographics, social, and company information to provide more personalized interactions (and drive higher conversions) using templates like this one.